Whether you’re in the mood for Indian, Italian, or locally sourced seafood, East Greenwich is loaded with fantastic restaurants to try. Not sure where to start? 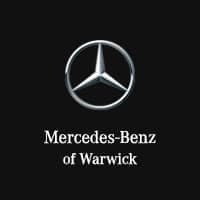 Mercedes-Benz of Warwick is here to help! Check out our list of some of the best East Greenwich restaurants and bars, and reserve a table today! Meritage is just as renowned for its food as it is for its drinks and happy hour. Choose your favorite from their lengthy red and white wine list or round off a hard Monday with a delicious margarita. Menu highlights include lobster mac and cheese, pizza scampi, and horseradish encrusted tuna. Location: 5454 Old Post Rd. Rasa brings the bold flavors of India to East Greenwich with dishes like paneer pineapple and veg tikka, mussels Malabar, lamb curry, and Tandoori chicken. Rasa is a winner of several awards from the Providence Phoenix and Rhode Island Monthly. They also do express catering and fine catering for all events, so keep them in mind for your next family get-together or work event. Greenwich Bay Oyster Bar is known for its impressive raw bar, sandwiches, and locally sourced seafood. Stop in for favorites like their raw bar platters, lobster salad roll, or a calamari pizza topped with banana peppers, black olives, fontina, and garlic. 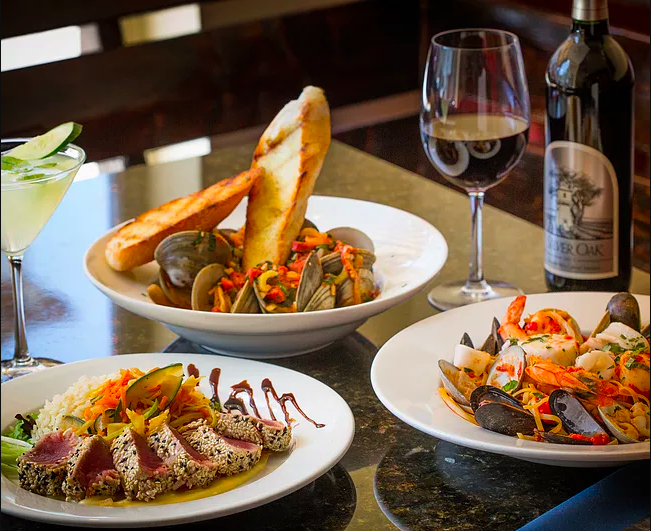 Swordfish, lobster, salmon, and more are also on the menu if you’re in the mood for a filling entree.Location: 250 Main St.
Frank & John From Italy has been a local go-to for over 50 years. Their pizza menu includes everything from margarita pizzas to feta cheese and spinach to ham and pineapple. Their appetizers feature all of the staples you’d expect from a pizza shop, including mozzarella sticks, fried calamari, and prosciutto and provolone. Located on scenic Greenwich Cove, Finn’s Harborside offers a simple but delicious seasonal menu. Highlights include stuffed quahogs, Finn’s style littlenecks Narragansett Bay, New England clam chowder, and linguini with clam sauce. They’ve recently reopened after closing for the winter season, so be sure to stop by! Sienna Cucina serves authentic Northern Italian food in an upscale and charming spot, complete with a full-service bar. You can mix and match cheeses and meats to create a unique antipasti board, or go with a carefully crafted entree like fried calamari with hot cherry peppers or polpette grand — an extra large meatball with ricotta cheese, Parmigiano-Reggiano cheese, and fresh basil. Whether you’re looking for best bed and breakfasts in Providence, RI or the best restaurants in Warwick, RI, Mercedes-Benz of Warwick has some suggestions! Contact us online with any questions, or visit us near Providence and Cranston.